Early in the nineties, there was this young Brother who was assigned to Lipa. His name was Anthony Dimaano. Everyone called him Brother Nonie. He had graduated from the school in 1981; so the assignment had the added bonus of being something of a coming home to him. 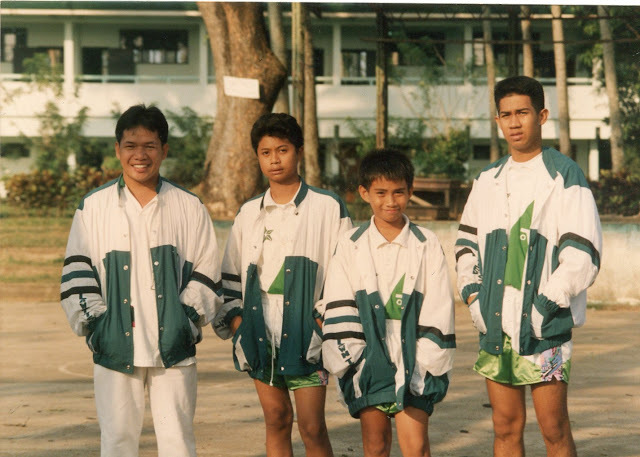 His familiarity with the school was evident in the way he immediately blended right into the environment. 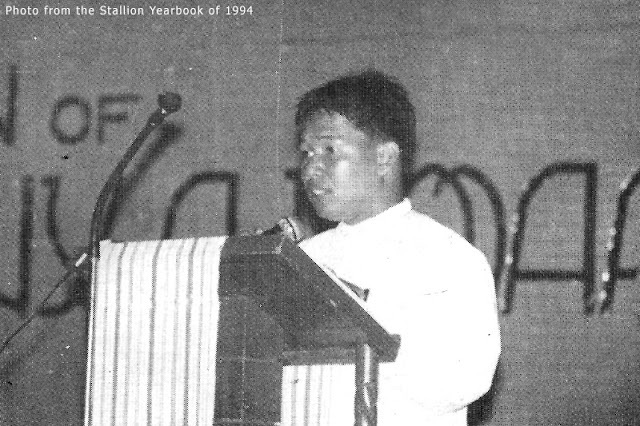 Obviously, he knew many of the old-timers among the faculty and staff. I myself did not personally know him. 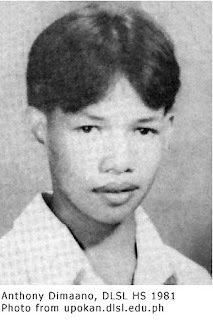 Since he graduated in 1981, I was already a freshman in college when he came in as a Grade 5 student in 1975. In those days, the elementary was limited only to the intermediate Grades 5 and 6. He was this bubbly character who always looked to be in the middle of everything. He was the sort of guy you did not want to encounter when you were having a bad day. He would be this smiling happy character whose happiness you did not want to see if all you wanted to feel was miserable. He used to join my boys in scrimmage once in a while; but he was not really any good at all. He was just the sort of bloke who liked to try everything. 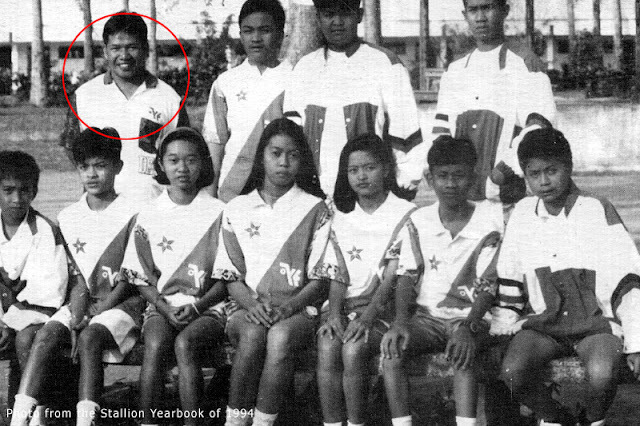 His speciality was really lawn tennis; and he volunteered his services to form and coach a varsity team. In those days, the school did not even have a lawn tennis court yet. They had to find training facilities outside the campus. He also taught Religion classes, as you would probably have expected of a Brother. Because he was always this happy character, he was popular among the students. From what I can recall of the incident, he had gone to La Salle Greenhills one weekend, the purpose of which I was not privy to. 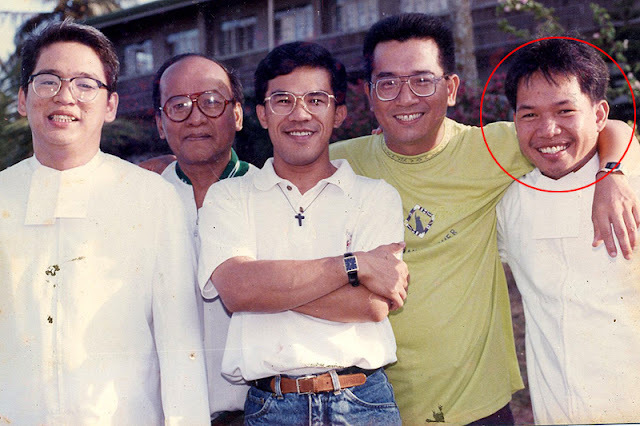 He was expected back at the Lipa community in time to join the birthday celebration of one of the Brothers. 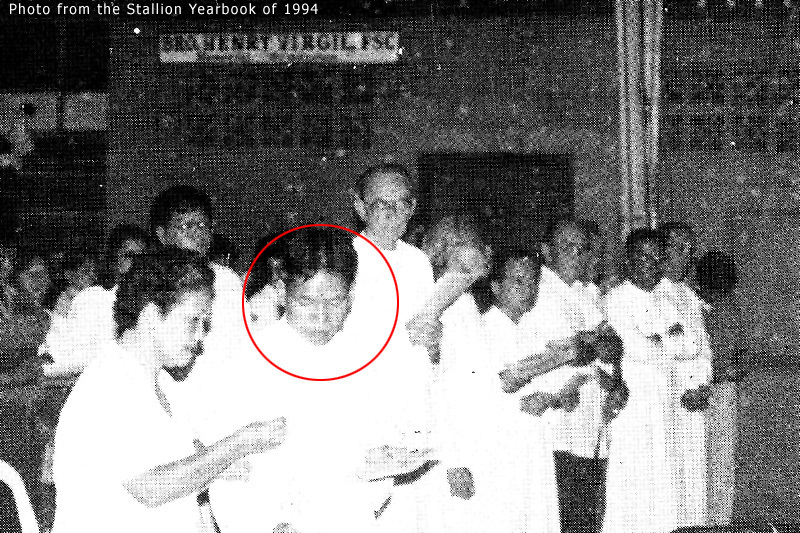 I am not entirely sure, but I seem to remember that it was Brother Jun Erguiza himself – then President of the school – who was celebrating his birthday. 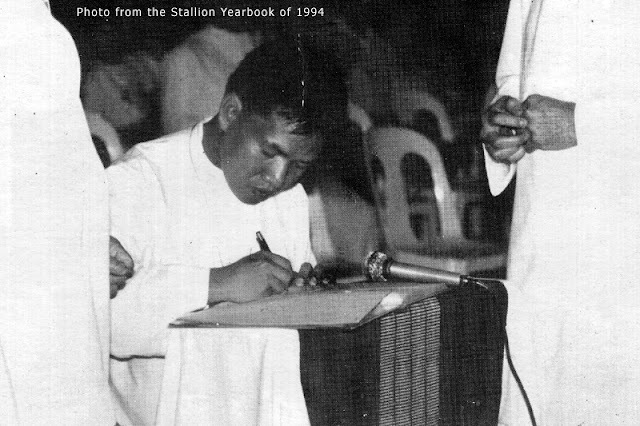 But he never arrived… Calls to Greenhills from the Lipa community revealed that Brother Nonie had already left for Lipa. Everyone was worried. Perhaps, even worse than worried, everyone was mystified. He seemed to have simply vanished from off the face of the earth! I remember that operatives of the National Bureau of Investigations even came in to help. I remember having met Brother Jun after the Bureau operatives had come to visit; and I could tell from the tautness of his face that – despite the cool demeanour that he tried to outwardly project – he was really upset and worried that nobody seemed to have a clue where Brother Nonie had gone. As could be expected of the grapevine, the lines were smoking from everyone’s speculation. Although Brother Nonie was travelling home by public transportation, people were reluctant to accept theft as a motive. 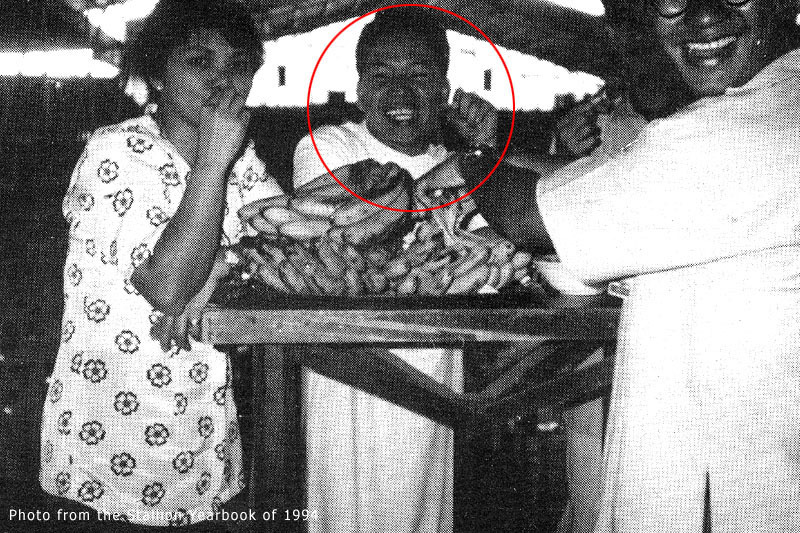 It was believed he had some five thousand pesos in his person; but whoever killed for 5K even in those days? It was also broad daylight; and – at least, to everyone’s seeming knowledge – he was in very public places indeed. Some said he was fed up with the life or a religious; albeit, why leave in such dramatic circumstances? There was also the matter of his having just taken his final vows as a Brother just a month or so back. Of course, that argument could not hold water, either; because his route home should have been as straightforward as hopping from one bus to another. Strange as it may sound now, but there were actually those who half-seriously speculated that Brother Nonie was abducted by aliens. When I say half-serious, there were indeed those who slanted more into the serious than into the half, if you get my drift. That speculation was, naturally, all hogwash. Albeit, did anybody have anything more plausible? Even the Bureau did not! There were many other theories that people proposed; and some were whispered quietly under their breaths. I would rather not get into those because, as with the other things I mentioned already, each and every theory was probably just as baseless as the next. It has been 17 years since Brother Nonie disappeared. I understand that he was considered legally deceased on the tenth year of his disappearance. In spite of the fact that nobody – even the Bureau – found any leads of substance; and certainly not a body that could be identified as his.